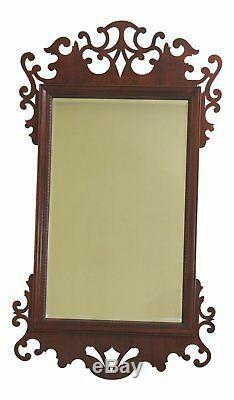 30535EC: BAKER Large Mahogany Chippendale Wall Mirror. Excellent Super Clean Original Finish & Condition. Store Location for this item. Stenella Antiques and Stenella Interiors is one of the East Coast's leading discount sellers of high quality pre-owned and new furniture. We offer you a diverse selection of exceptional, well cared for pre-owned, vintage, antique and new furniture, all at a fraction of what you would pay at your local retail store. 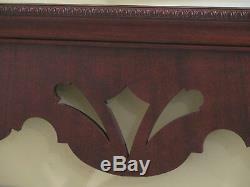 We also display brand new furniture and are able to special order pieces from select manufactures. Our close relationships with some of these companies and craftsmen, allow us to offer these items at the lowest prices anywhere. We offer for sale many of the leading name brand manufacturers in the business such as Henkel Harris, Kittinger, Baker, Henredon, Karges, Kindel, Stickley and more. 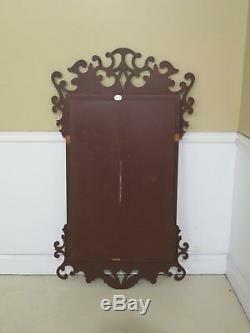 Also offered are some truly unique and hard to find pieces. 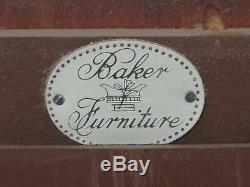 These exclusive items usually come to us through closed estate homes in some of the finest areas on the east coast. 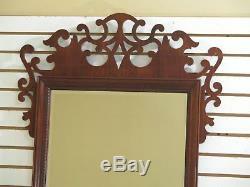 Stenella Antiques and Interiors is very selective on what is offered to you. With over 50,000 sq feet of merchandise, there are items for just about everyone. Items may be picked up by purchasing customer or hired shipper of their choice. We understand the need to hire a shipper on large or distant items. This is for your protection and ours. The above, listed companies, will accommodate all the packing, wrapping etc. Shippers are picking up items on the sellers behalf, items being removed are confirmed, condition report etc.. We will obtain multiple quotes and pass the quotes and details along to you. Message us directly for discounted quotes East of the Mississippi river. Including Florida, Texas, Illinois and most all Eastern states. Please message us for additional details or information. Sweeney Transport (message us directly). Plycon Vanlines 631.269.7000. Packaging Store 215.361.6940. Craters & Freighters 866.397.0488. Our newest location, Stenella Interiors is a 24,000 sq ft, beautifully arranged showroom located in Lansdale Pennsylvania. Any of our listings beginning with the letter "L" ex. L45647: will be on display at this Lansdale location. All other items are on display at our previous Perkasie Pennsylvania warehouse. Stenella Antiques and Interiors makes every effort to accurately describe and photograph any and all items to the best of their ability. Buyers are welcome to hire or have their own third party make inspections of items prior to committing if they do desire. Purchasers are welcome to use any licensed carrier of their choice providing they provide Stenella Antiques and Interiors with a Bill of Lading, condition report and are insured and authorized to carry such goods. Stenella Antiques and Interiors shall not be held liable or at fault for any, but not limited to any workmanship, improvements, adaptions performed on items. This includes but is not limited to upholstery work, refinishing, lighting, electrical, alterations. This balance would need to be paid prior to any item to being removed from the premises. Stenella Antiques is located at 104 S. Second St, Perkasie PA, 18944 and Stenella Interiors is located at 800 W Second St, Lansdale PA, 19446. This listing is currently undergoing maintenance, we apologise for any inconvenience caused. Get business information that counts! - Vendio Counters are active content free. 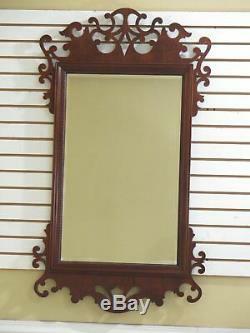 The item "30535EC BAKER Large Mahogany Chippendale Wall Mirror" is in sale since Wednesday, January 30, 2019. 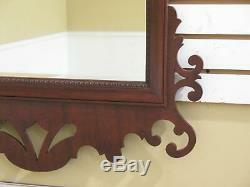 This item is in the category "Antiques\Decorative Arts\Mirrors". 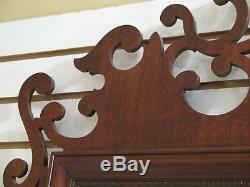 The seller is "tricks-of-the-trade" and is located in Perkasie, Pennsylvania. This item can be shipped to United States, Canada.